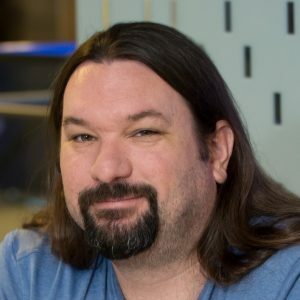 Denny Cherry is coming to Tech Field Day Exclusive at Intel Data-Centric Innovation Day. Connect with Denny at MrDenny on Twitter, the web, or the Tech Field Day web site. I would love having the ability to fly. In my spare time I ride my Indian motorcycle and play X-Box games. I’m the CEO and Principal Consultant for Denny Cherry & Associates Consulting. We’re an IT Consulting Firm with 6 consultants with customers as small as companies with 2 employees and as large as Fortune 20 companies. We focus on Microsoft SQL Server, Microsoft Azure, Amazon AWS, and the other pieces of the Microsoft Data Platform suite. My biggest challenge is just keeping up with new features and new technologies in my field. The field is always changing and new features and products are coming up all the time, and the amount of time needed to keep learning is just insane. Over the next few years I see more and more systems and services moving to the cloud. I pretty much fell into it. My dad was VP for a computer company when I was a kid, and I got my first computer when I was 5, so working in IT was a pretty natural fit. I have no idea what brand computer was my first, but it was a generic v32 processor powered IBM clone, which was the precursor to the 8086 CPU.